Exit9 Gift Emporium Brooklyn sits near the top of Smith Street at Dean Street and we love our stroll. Our neighbors include amazing restaurants, art galleries, shops and bars. We can highly recommend that you meet your friends and stroll Smith Street to eat, drink and shop from one end to the other. You don't have to believe us, Trip Advisor rates Smith Street as #42 of 235 of things to do in Brooklyn. 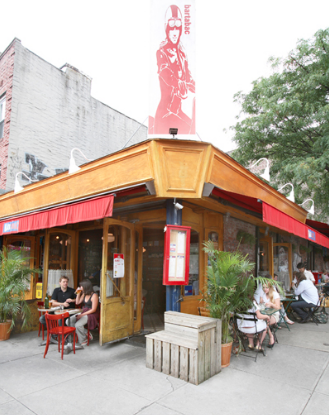 No matter which end of Smith Street in Boerum Hill that you start from there are numerous wonderful brunch spots. If like us, you think the idea of a fried chicken sandwich, chorizo tacos, or a fried chicken burrito and cold beer for brunch is the right idea -- check out Wilma Jean. 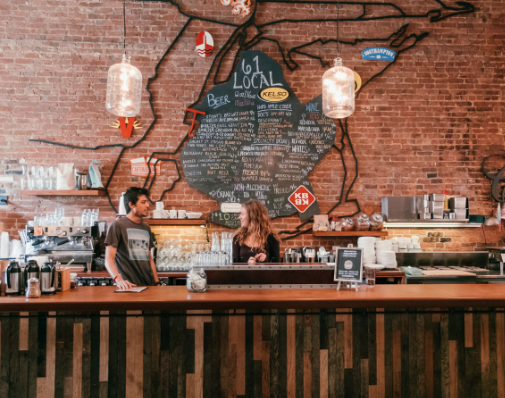 Other brunch spots to look into are Cafe Luluc, a Smith Street brunch stalwart and our across-the-street-neighbor and the restaurant that started it all on Smith Street - Bar Tabac. 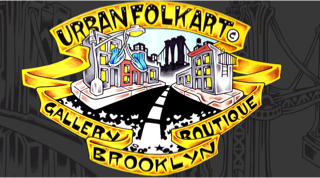 Stop by Urban Folk Art for a look at art that rises from the street. Another important art stop near Smith Street is the Invisible Dog Art Center. It is not a commercial gallery or an art non-profit. Invisible Dog is the place where artists working in all media come to do the things they can do anywhere else. Artist experimentation right here on Smith Street! Because we work on Smith Street, we do lots of living on Smith. We take many of our lunches at Stinky Bklyn, take home goodies for dinner and they really crushed some catering for us. And all of us have been seen getting treats at One Girl Cookies quite often! Some of our coffee spots include Bien Cut, VelvetteBrew and Smith Canteen. It usually takes a new Exit9 employee just a short while to realize that Soula Shoes is the spot in the neighborhood for cool and comfortable sneakers. For cocktails, Bar Tabac has been serving the neighborhood for years. Some of our newer favs are 61 Local and For the consummate dive bar experience check out Boat Bar. We have just scratched the surface of the fun things to do on Smith Street. Definitely, stop by Exit9 and say hello. 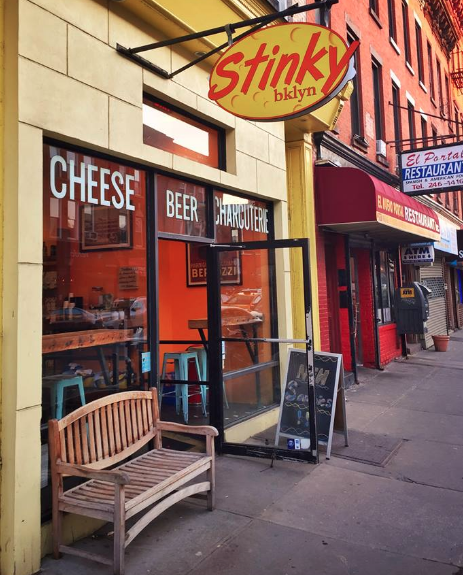 If you are looking for more ideas for a Smith Street Stroll check out some spots collected by Explore Brooklyn.